I finished and received my diploma for my third Master's Degree. This was a Masters Degree of Education with a focus on Instructional Design. This finished what I considered to be the hat-trick of education before moving onto a doctorates. The final project of the program was a focus on hybrid flexible design, which I actually got to try out this past year and will be running it again this year. Also, I have started applying for to doctoral programs, which I consider a different type of professional accomplishment in that I'm finally heading that path. I've only been circling it for nearly a decade. I secured another position as a social media strategist. This time, for NEPCA. I have also taken over as instructor for a social media course at North Shore Community College's Community Education program. I attended and presented at a handful of conferences this past year including several for NERCOMP, Suffolk University Technology Symposium, and Massachusetts Colleges Online. The topics focused on hybrid flexible design, accessibility and universal design, refreshing online courses, and open educational resources. I also joined the Salem State Alumni Board of Directors, which has been a rewarding and enjoyable experience. It's been good to reconnect with Salem State University and to be involved in ongoing projects that brings together alumni and students. I was involved with a team that has helped to launch an open textbook initiative at North Shore Community College. It's felt great being part of such a great team of colleagues working to make a significant difference in access for college students. 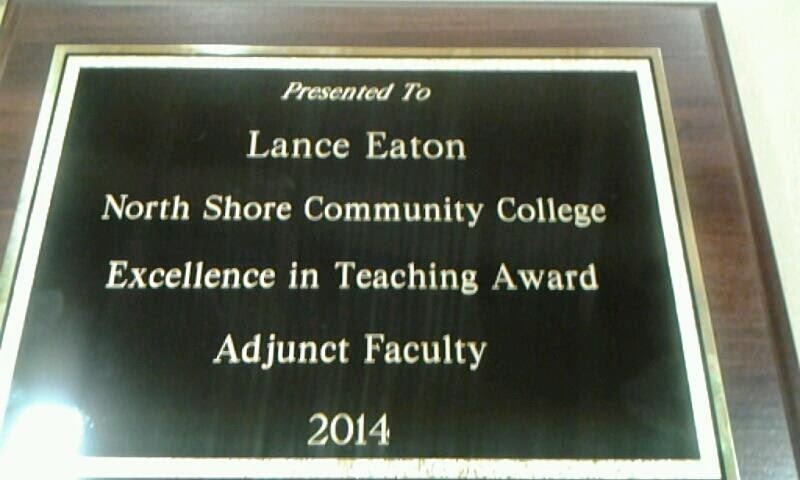 Finally, I also received an award for teaching. I was quite pleasantly surprised by this as it wasn't even on my radar. But after eight years and over 100 courses, it was powerful to be recognized for my various efforts that I have put in over the years. 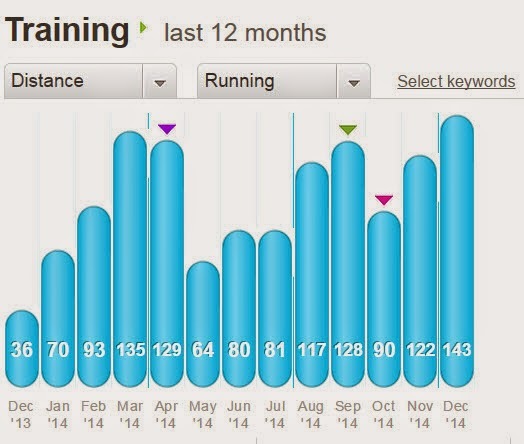 I ran over 1250 miles this year (1252 to be exact!). That's about 500 more than last year and probably (with the subtraction of last year), more than I have cumulatively run in my whole life. This goal was quite important to me (I think I aimed for 1000 originally) as it helped me keep focus when it was clear that my other running goals were not going to happen. I also learned to find running on a treadmill agreeable (so long as Netflix is on hand--hahaha). Despite getting injured with a herniated disc and pinched nerve in the neck, I was still able to run two marathons this year and even achieve a personal best on a half-marathon with just over 2:03. I didn't do as well as I would have liked on the marathons but know that I'll do better next year. Of course, I plan to break the 2 hour mark with the half-marathon and we'll see what my marathon time will be next year. I completed my 365 project. This got a little hairy towards the end and I definitely had trouble keeping up with everything else going on. However, I logged in 365 short story reflections, which I'm quite proud of. It has been a learning experience in many ways--not the least of which is having to fully read all of Ambrose Bierce's work, which is pretty cool. Of course, the big personal accomplishment of 2014 is that I got married to an amazing and wonderful partner. I proposed to her in April in Niagara Falls (no, not that Niagara Falls!). We decided to return there for our wedding in October and it was a fantastic adventure with family and friends. Planning and executing the wedding itself as it was a different approach than most offered its share of challenges but we made a great pair and everyone had a fantastic time (especially us!). Indeed, 2014 has been a fantastic year and I look forward to what 2015 will bring. Keep an eye out for my forthcoming post about my goals and hopes for 2015. How was your 2014? What kind of goals and accomplishments did you achieve or find challenge with? What are you thinking about for 2015?